Hale went 17-15 over three seasons at Groesbeck. 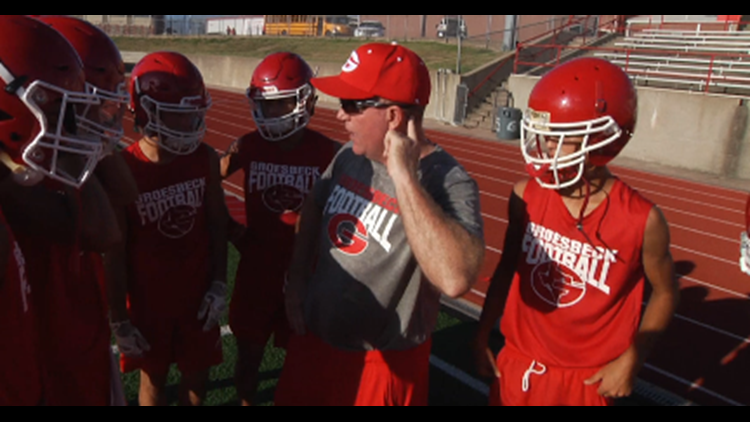 GROESBECK, Texas — The Groesbeck Goats will have a new head coach and athletic director in 2019. Steve Hale is expected to be named the head coach and athletic director at Hillsboro High School at a board meeting on Wednesday night. He is the lone finalist for the opening. Hale is a Hillsboro native who spent four years at Hillsboro High School as an assistant early in his coaching career. Hale took over at Groesbeck in January 2016, and finished with a 17-15 record through three seasons with the Goats. Hale spent three years at Medina Valley before he came to Groesbeck. Prior to that, he spent four seasons at Hutto. Hale’s overall record as a head coach is 73-47.